Looking for a fast, convenient way to repair your sewer line in Indianapolis metro without trench digging? Service Plus Heating, Cooling & Plumbing can assist you with a wide range of underground trenchless sewer repair solutions. With expert diagnosis and sewer repair teams throughout Indianapolis, we can help with every type of sewer line issue. To learn more about our sewer repair in Indianapolis, Fishers, Carmel, and the surrounding areas, contact us online or call (317) 434-2627 today. We’ve been providing outstanding sewer repair services in the Indianapolis area for almost 15 years. We understand how frustrating it is to experience a nasty sewer problem. That’s why we’re ready to help with fast, friendly, expert sewer repair services—anytime! Best of all, our state-of-the-art services will help remedy the problem in the most effective and efficient way possible. Broken or cracked pipes – We repair damaged pipes due to shifting soil, settling, or other problems. Blockage – We can repair blockage from grease buildup, debris, or even tree roots, which can sometimes restrict proper flow. Corrosion – If a pipe has deteriorated, causing collapses in the line and restricting flow, we can remedy this issue with our sewer repair in Indianapolis. Bellied pipe – A bellied pipe occurs when a portion of the pipe has sunk due to ground or soil conditions. We have the expertise to fix this right away! Leaking joints – When the seals between pipes have broken, allowing water to escape into the area surrounding the pipe, we can repair this issue. Root infiltration – If tree or shrub roots have invaded the sewer line, preventing normal cleaning, contact us for immediate repair! Call us today at (317) 434-2627 or contact us online to learn more about sewer repair in Indianapolis, Fishers, Carmel, and the surrounding areas with Service Plus. No matter what type of sewer repair service you need for your Indianapolis area home, our team of experts at Service Plus can take care of it all! Your sewer system is a vital part of the functionality of your home and should be repaired right away in the event of an emergency. 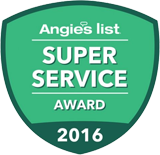 If you’re looking for expert sewer repair in the Indianapolis area, look no further than Service Plus. To schedule sewer repair in Indianapolis, Fishers, Carmel, or a surrounding area, contact us today or give us a call at (317) 434-2627. Have additional questions about sewer repair?